A new modeling method has been developed by combining industrial data and metallurgical mechanisms. This method utilizes a series of models to predict the mechanical properties for microalloyed steels with high reliability and strong generalization. Specifically, the modeling process includes determining the influencing factors, cleaning the actual data, building sub-models for each single factor and for the interactions between the factors, verifying the reproducibility of the sub-models, and building the whole model. The effects of alloying elements (such as C, Si, Nb, and V), precipitation processes of microalloying elements, and processing parameters (such as reheating temperature and coiling temperature) are quantitatively involved in the models. In addition, the obtained models can quantitatively describe the effect of each factor on the mechanical properties, which is impossible by using traditional modeling methods. A practical modeling case is introduced, and the influencing mechanisms of the factors on the mechanical properties are analyzed. 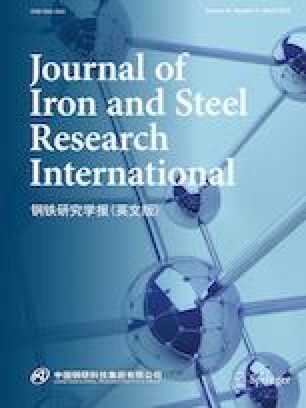 The results show that the prediction errors for the tensile strength and yield strength are 2.54% and 3.34%, respectively, which exhibits the advantages of high precision and strong adaptability of the model used to design and develop new steel grades, reduce the number of physical tests, and reduce the development cost of new products. This research is supported by National Natural Science Foundation of China (51774219) and Youth Science and Technology Program of Wuhan (2016070204010099).